I’m healthy, I feel fine… Why should I take supplements? Most people wait until they are actually sick and unhealthy to take action. But by then, it’s too late. I wanted to be different. It’s always better to be proactive rather then reactive so why not be proactive with the #1 thing in your life… your health! If you cherish your life and the moments that you have, then I encourage you to preserve it! In response to the question above, I’ll give you a few reasons as to why the food we eat isn’t enough to provide the nutrients we need, and why we should take supplements as a solution. Depleted Soils. Current commercial agriculture techniques leave soil deficient in important minerals, causing the food grown in this soil to share the same mineral deficiencies. Long transit times. Many foods are picked months before we see it on our shelves… so much for retrieving the most nutrition out of it! Foods are shipped long distances and are stored for long periods of time, both of which cause the depletion of vitamins in these foods, including the important B-complex and C vitamins. Cooking to death. Foods are the most nutrient rich when in it’s purest form. Raw! However, many of us love to cook our food… and cook it basically to death! This kills and destroys many of the nutrients we want to extract from it! Food processing, cooking, and preserving leads to nutrient depletion in our food supply that makes it difficult to obtain adequate nutrition from foods alone. Genetic Modification. Genetic modification are so popular amongst many fruits and vegetables in order to improve their visual appeal and crop yields. This results in less nutritional value compared to what our ancestors’ food supply. Not eating regularly. Mcdonalds, pizza, skipping meals because you’re so busy… all not good for your body. It’s recommended that we eat about 5 meals a day. However most people I know will average 2 or 3! I used to skip breakfast, and little did I know that breakfast is the most important meal of the day. Erratic eating habits, insufficient chewing of food, eating on the run, and stress contribute to poor digestion, making it difficult for our bodies to extract all the nutrients it needs from food. Being reactive. I don’t want to wait until something is wrong with me to start doing something about my health. Many nutrients have been proven to prevent or aid in the treatment of health conditions like high cholesterol, arthritis, birth defects, and cancer. So now that I’ve hopefully convinced you that supplements aren’t so bad and can actually benefit you, you’re probably wondering which supplements to take. 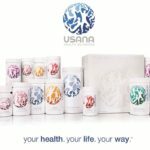 If you want to know what’s right for you, I suggest that you take Usana’s True Health Assessment as well and find out which combination of products are right for your optimal health! By taking this assessment, you will be one step closer to your optimal health! Take your first step towards true health and take the test now!